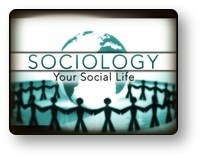 Red Comet, an accredited, self-paced, online high school launches a credit course on Sociology II. Red Comet’s new elective “Sociology II: Your Social Life” continues to explore the strife, conflicts and struggles of different human societies. The world is undoubtedly more complex than before. Social structures have had an upheaval in this past decade with the rise of social media. In addition to traditional methods, sociologists now use network analysis, mathematical computations and modeling techniques to understand human relationships. The development of a sociological imagination will enable students to examine how society shapes human actions and beliefs, and how such actions and beliefs in turn shape society. In this course, students evaluate problems in our society and learn how human relationships can influence the life of the student. Exciting online video journeys to different areas of the sociological world are presented in the course. Red Comet is not only appealing to students, but also extensive in terms of breadth of curriculum. The online program provided by Red Comet ensures a comprehensive path for students, but one that is also very satisfying for students in Washington State. The Office of the Superintendent of Public Instruction (OSPI) approved Red Comet as both a “Multi-District Online Course Provider” and a “Multi-District Online School Program Provider”. Students enrolled in Red Comet’s online learning program are challenged by their coursework, but the material is presented in such a way that they are also engaged and motivated to complete their coursework on time. To ensure continued student interest, the online high school from Red Comet makes use of many different learning methods and techniques, ensuring students are engaged throughout their coursework.